Cracked or missing teeth turn everyday activities like chewing and smiling into chores. Fortunately, dental crowns can help you take back control of your mouth and allow you to return to the activities you love. A team of experts at The Diablo Dental Group in Danville, California, is available to restore your damaged teeth and fit you for the best dental crowns for your smile. Call or book an appointment online today for more information. Because dental crowns are cemented over your teeth, they hide embarrassing or uncomfortable tooth damage and prevent decay from spreading to your surrounding teeth, giving you stronger teeth for the future. Why should I choose porcelain crowns? Above all else, porcelain crowns look exactly like your natural teeth, as your dentist can color match them better than with crowns made out of materials like silver or gold. They are especially popular in patients that have lost teeth near the front of their mouths, where people can see their dental crowns. Porcelain crowns are made with ceramic that is nearly as durable as your natural tooth enamel, so they stay strong through everyday wear and tear, such as eating and drinking your favorite foods and beverages. What can I expect from the dental crown process? Like with any restorative procedure, your dentist will need to take X-rays of your teeth before starting the dental crown process. Once those initial steps have been taken, your dentist must prepare your affected tooth for its new crown. First, the tooth and its surrounding teeth will need to be filed down and reshaped to make room for your new crown. Next, an impression of your filed-down tooth must be made to ensure that your new crown will fit perfectly without hindering your natural bite. While these impressions are sent off to the lab, your dentist will fit you for a temporary crown. In about two to three weeks, you will return to have your temporary crown removed, so your dentist can fit you for your permanent porcelain crown. Because the crown is made out of porcelain, it will be color matched exactly to your existing teeth. When the fit is absolutely perfect, it will be cemented into place. A dental crown can restore your damaged tooth and help you get back to living your life worry-free. 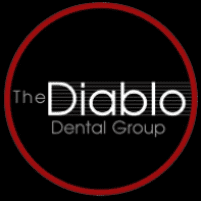 Call The Diablo Dental Group or book an appointment online today to learn more.